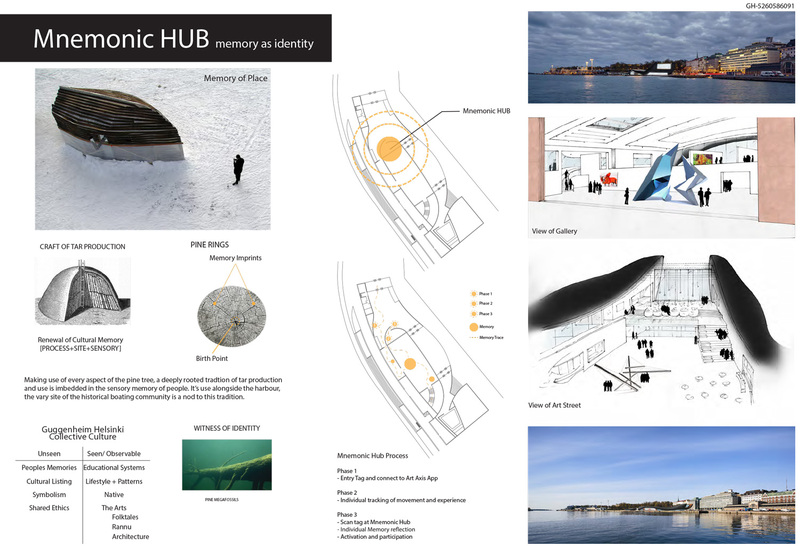 Working with public architecture as a means to foster memory, our submission for the Guggenheim Museum Helsinki competition establishes as its core a ‘Mnemonic Hub’: a transitional space that promotes remembrance through pause. 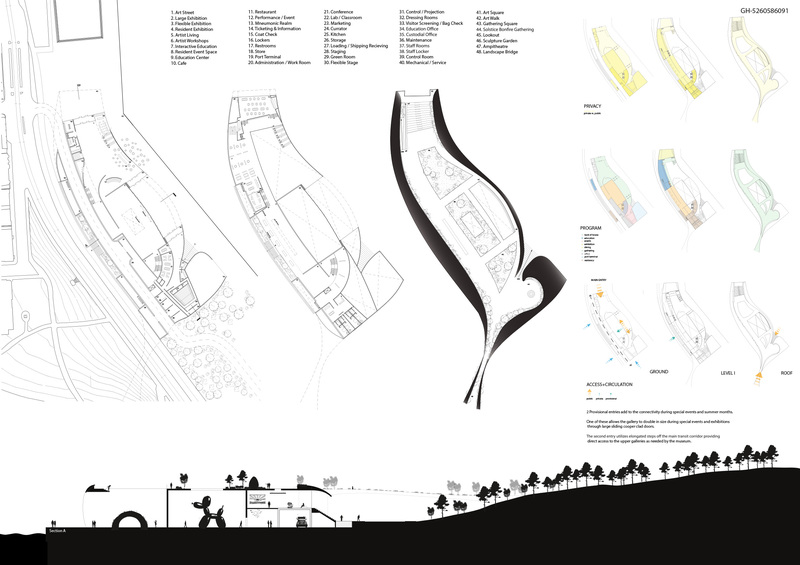 Working with memory formally, echoes of a hull form emerge from the waterside site, its north face rising to address the axis of the city fabric. 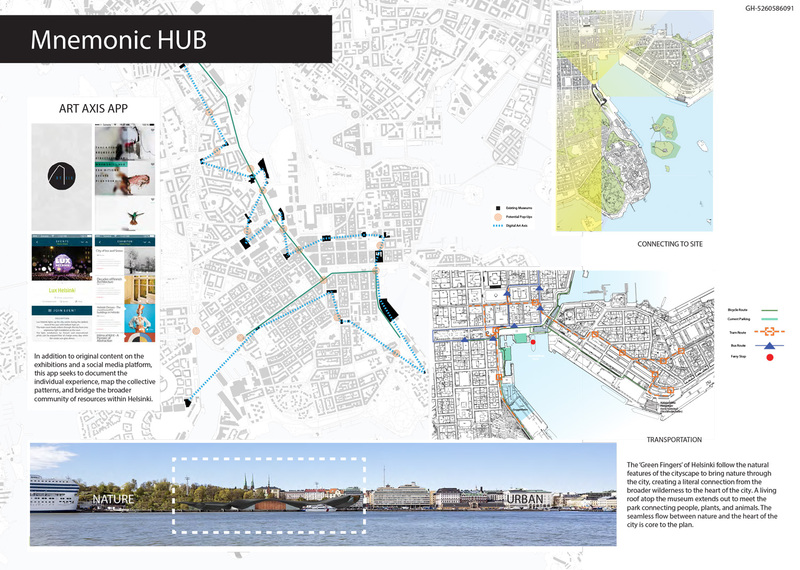 A protective coating of tar, which makes use of every aspect of a pine tree, is employed alongside the harbor as a symbol of Finland’s longstanding sustainable practice deeply rooted in tradition. 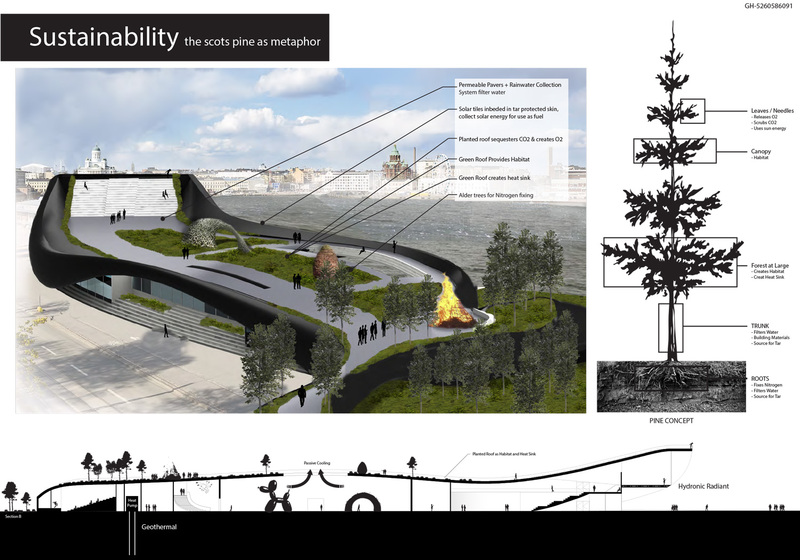 The landscape from the adjacent Observatoriebergets Park is pulled in to shape the open plaza atop the structure, the park’s once-direct connection to the adjacent water brought into focus. Procession through the galleries is aided by an embedded sensor in the admission ticket. The sensor tracks your movement through the museum and registers moments of pause: the works of art that you stopped at and spent time with. At the end of your visit, the integrated app offers an additional moment to reflect on the experience as a whole, providing additional information on the artist, the work, and its context.